Damen Shipyards Group Wednesday announced the recent signing of a contract with Oslo, Norway-based SeaDream Yacht Club (see also CruiseMapper). The contract marks a historic moment, being Damen’s first for a cruise ship. 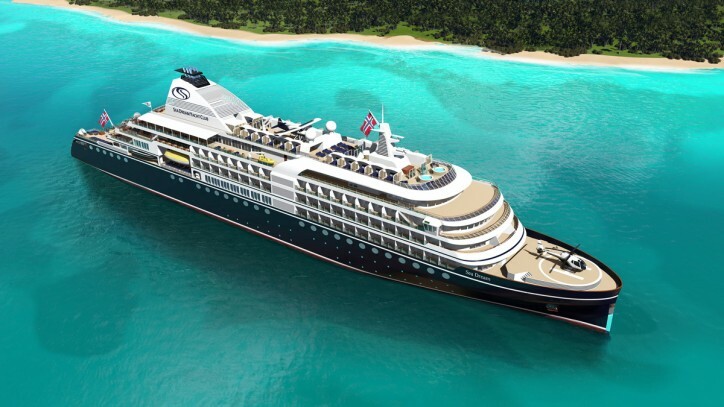 SeaDream will operate the 155-metre Mega Yacht on luxury voyages all over the world. SVP Sales and Marketing Damen Cruise Andrea Trevisan said, “We are delighted to sign this historic contract with which the Damen Shipyards Group enters the cruise market. 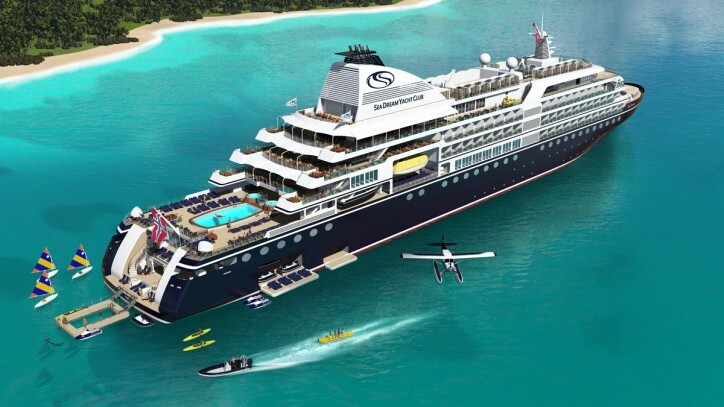 We feel very honoured that SeaDream has chosen Damen to deliver this special project and are looking forward to a long-term cooperation with this unique ultra-luxury brand. The international shipyards group launched its new venture, Damen Cruise, in 2018. Though a new entrant to this particular market, Damen has, for over 90 years, delivered ships to diverse sectors of the maritime industry, including construction of adventure and mega yachts and complex offshore, naval and RoPax vessels. The aim of Damen Cruise is to become a long-term partner for the cruise industry, providing services throughout the entire lifecycle of a vessel. This begins, where required, with provision of finance solutions from AAA institutions and continues through construction and outfitting. Following delivery, Damen is able to continue supporting its clients with maintenance, repair and upgrade services at its repair yards worldwide. In 2018, Damen began operational control of the shipyard now known as Damen Shipyards Mangalia, in Romania, a joint venture with the Romanian Government. The yard, located on the Black Sea, is the largest in the Damen portfolio and brings with it the capabilities for the group to construct larger, more complex vessels. The Mega Yacht for SeaDream will be completely constructed and outfitted, including the interior, at the Mangalia yard by Damen, working in partnership with leading suppliers to the cruise industry. Damen will commence construction of the vessel in October this year, with a scheduled delivery date of September 2021.